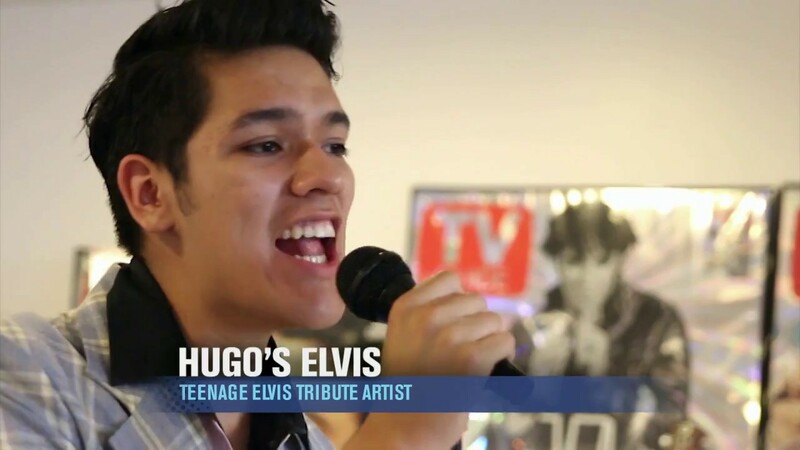 On YouTube & Facebook: "Hugo's Elvis"
Love what I'm doing! Doing what I love! A great addition to classic car shows! 16-year-old performer and storyteller, Hugo Colin, presents a dynamic tribute to the legendary Elvis Presley that will take us back 60 years with an exciting collection of the king of rock n roll's earliest recordings including gospel, ballads, rockabilly, Christmas plus the greatest rock 'n roll hits! We had Hugo perform at a "Happy Birthday Elvis" luncheon. He thoroughly entertained the audience. He walked the crowd and interacted with the audience, giving a personal touch. Job well done! 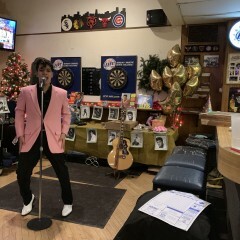 Hugo did a wonderful Elvis set for my daughters birthday. Everyone absolutely loved him. He was a great entertainer and a sweetheart with all the kids. If you need an Elvis I would book him immediately! He is so talented!!! You can really tell that Hugo loves what he does. Not only does he sound like Elvis (sometimes even better) but he has all the right moves too! It was a pleasure to have him entertain at our party. Went to dinner at LaVilla with my daughter and granddaughter last night to see Hugo. Limited in space without a stage or a large area to work with he was still absolutely electric. Did a real mix of tunes incorporating more ballads this time than usual. This allowed him a little more movement to circulate around the restaurant with just his guitar. No matter which type of song he did it was an audience pleaser for a really mixed crowd of ages(hey my table alone was three generations).Finished his scheduled one hour show but everyone was so crazy about him that the owner not only hired him for an additional hour but for two upcoming dates. This young man is absolutely an upcoming superstar.Check out his FB for future appearances....better yet hire him for one....I already did!! Very good show people started dancing. Very punctual. Will call him for future events thanks Hugo. With Lots of heart and talent who needs tons of glitz??? Fourth time I have enjoyed the talents of this young man...I've become a senior citizen groupie!!! Not only very talented but you can feel the genuine care he has for his audience. Problem is the audience when thinking of an Elvis entertainer expects the Vegasy glitzy jumpsuits associated with Elvis. But those are impersonators and Hugo is not. 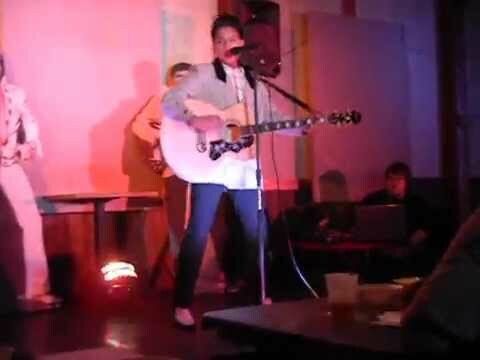 He is a tribute artist taking his audience to the earlier years of Elvis including some gospel and rockabilly tunes. 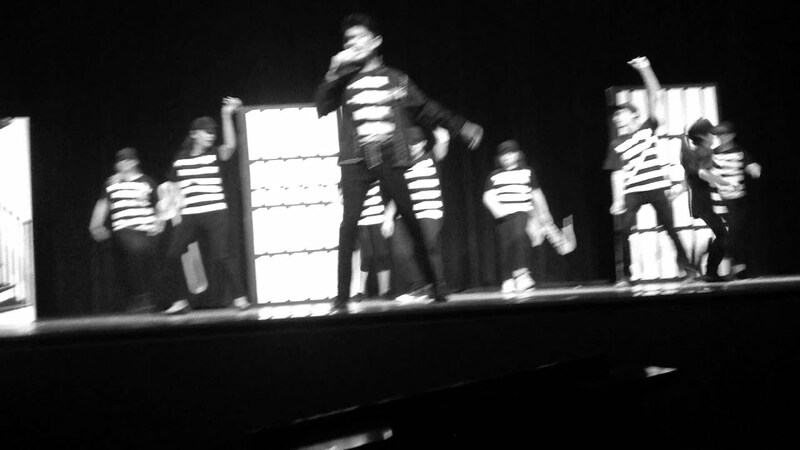 Of course he can also Shake It Up with tunes like Jailhouse Rock. Hugo's Elvis performed at my senior center today and the ladies cannot stop talking about it, and have already asked me to book him again! He is extremely talented and has so much charm! He sings all of Elvis's great hits and interacts with the crowd! Book him, you will not be disappointed! I cannot say enough about Hugo. Wonderful performer.exremely talented as well as a considerate and thought ful young man. 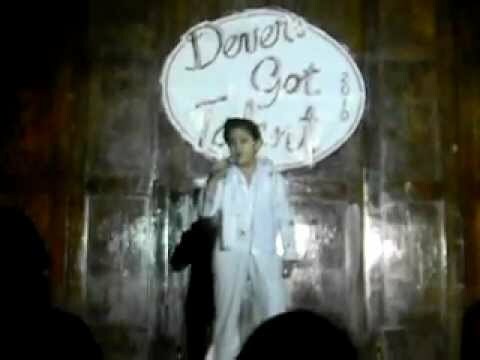 He went out of his way to work with my student who is playing Elvis in our school play. 16-year-old performer and storyteller, Hugo Colin, presents a dynamic tribute to the legendary Elvis Presley that will take us back 60 years with an exciting collection of the king of rock n roll's earliest recordings. With dynamically choreographed recreations and rockabillied outfits of the American icon's greatest hits of the 1950's, Hugo goes beyond the flashy image and brings to life the true and often unfamiliar story of this American icon's rise to fame. 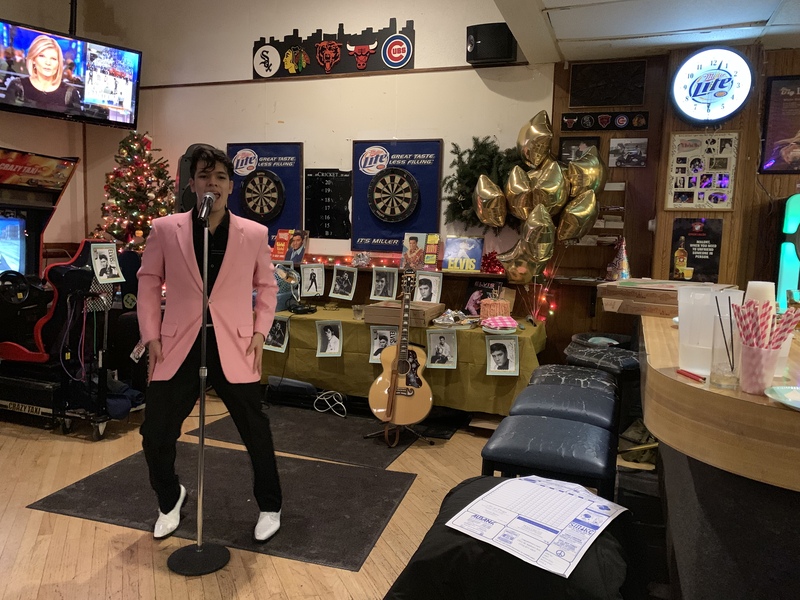 Hugo, Chicagoland's young and only 1950's Elvis Tribute Artist, ETA, performs two dozen of the legendary hits in this one hour show. All genres from gospel, ballads, rockabilly, and a few Christmas favorites plus the icon's greatest rock 'n roll tunes included, you'll want to bring out your rockin' shoes for this talented young man's phenomenal tribute to his favorite entertainer, the hillbilly cat, Elvis Presley. 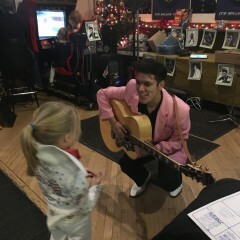 Hugo Colin has been a huge fan of Elvis Presley since the age of 2 and now presents a dynamic and educational tribute to the legend with a clear-cut mission statement: keep Elvis' memory, image, and music alive in Chicagoland. And by committing himself to this task, Hugo strives to take us back over 60 years to a special time in music history with his re-creation of the hillbilly cat's early performances and all of the iconic hits of the 1950's. 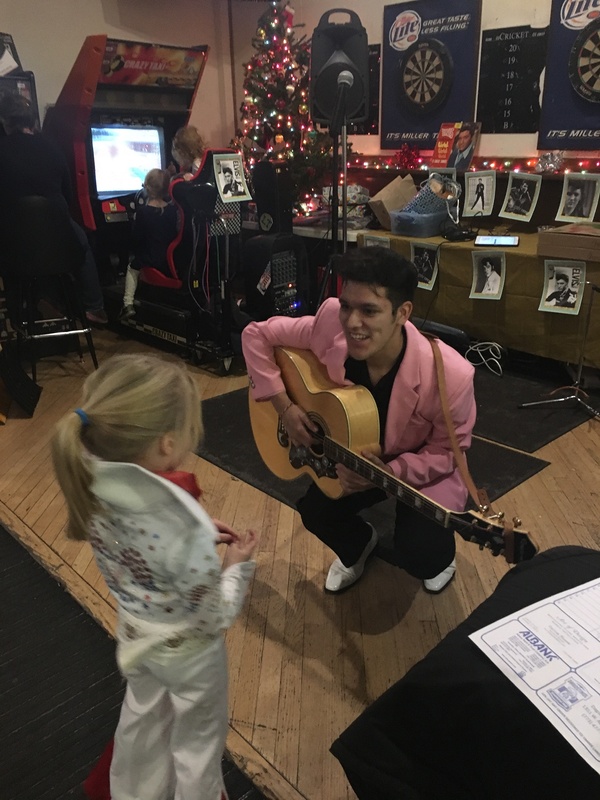 Hugo, Chicagoland's youngest Elvis Tribute Artist, ETA, has been performing his tribute to the king of rock n roll every year since kindergarden in his elementary school’s talent shows. Now age 16, he has also participated in 3 ETA competitions where he's earned the respect and admiration of loyal Elvis fans, new followers and fellow, seasoned ETAs. For the past year, Hugo's nearly 50 volunteer performances include local retirement/senior homes, churches, libraries and places such as Loyola's Ronald McDonald House, Shriners Hospital for Children, Misericordia Home, and the Harold Washington Library. With sharp attention to history, craftsmanship, choreography and authenticity, Hugo presents all genres of the atomic powered singer's greatest hits: from gospel, ballads, rockabilly, and Christmas favorites to the icon's greatest rock 'n roll tunes forever recognized around the world! It is a great honor and joy for Hugo to recreate the best 1950's ETA show possible to help keep the songs, style, and legend alive for the enjoyment of life-long Elvis admirers and introduce the legend to a new generation of fans.